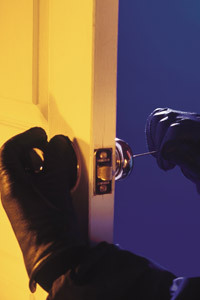 The Law Offices of David M. Boertje handles every kind of theft crime covered by the California Penal Code. While certain theft charges are misdemeanor offenses, other theft crimes are considered felony offenses. A lot of these offenses are called "wobblers," which are crimes where it is up to the city or district attorney to decide whether the offense is a felony or a misdemeanor. Any prior convictions, the value of what was stolen, and the seriousness of the theft crime are among the issues that can make a difference to a prosecutor. If you are someone who has been arrested for a theft crime, the Law Offices of David M. Boertje can help you. We are here to answer any questions you might have related to your offense and guide you through the process. The state of California could have a difficult time proving in a courtroom that you are guilty beyond a reasonable doubt. If you choose to hire us as your legal representation, we will handle all court appearances connected to your case. We will fight for the best outcome possible so that you can get on with your life. If you would like to talk directly to an experienced criminal lawyer or want your questions answered, please call the Law Offices of David M. Boertje to schedule your FREE CONSULTATION. You may also reach us by e-mail or by completing the online form on our Contact Us page. Mr. Boertje will call you back as soon as he can.